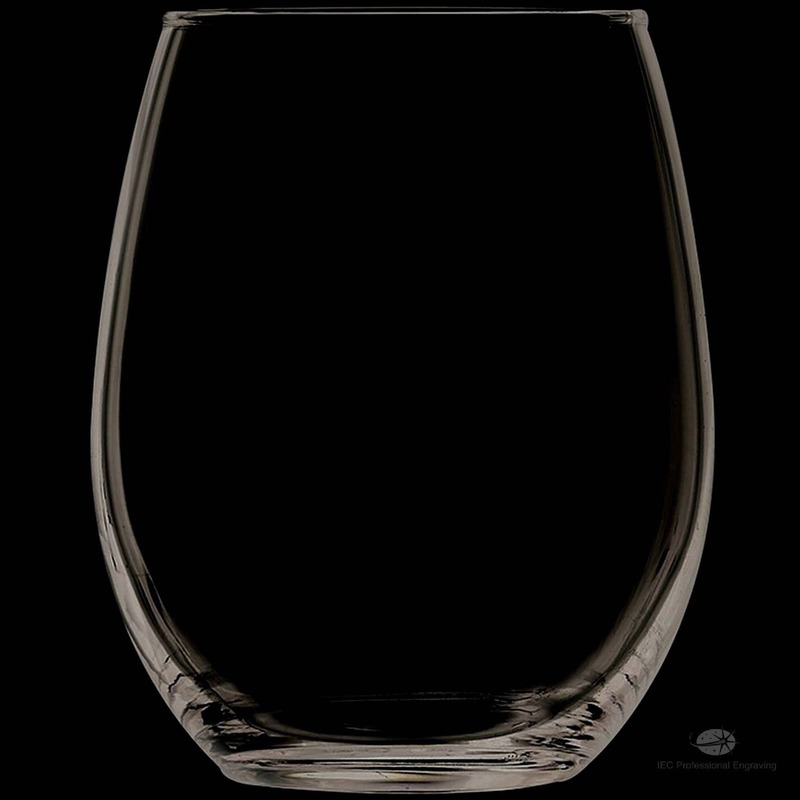 These Blank 13 Ounce Stemless Wine glasses can be personalized for long lasting memories. “Both” the front of the glass and the back of the glass can be personalized. You can add a logo to the front of the glass and/or add a logo to the back of the glass.($5.00ea). You can also add up to 4 Lines of engraved print with the logos, or add up to 6 lines of engraved print with no logos($2.50 per line, up to 25 characters per line). (IMPORTANT: It is very important to choose the proper add on selections in the "Personalized Add Ons" drop down boxes.) If you only want a logo, choose "Logo Only" in the “Personalized Add Ons” drop down box. If you want to add a logo and engraved print, choose “Logo + the appropriate number of Lines of print that you want to have engraved. If you don’t want to add a logo, but want to add engraved print, choose “No Logo + the appropriate number of lines of print that you want to have engraved. Then write what and where you you want the engraving to be located. (Example Given: Please add the IAFF Logo I sent to you, and Add “Somersworth” above the logo, and Add “Local 2320” under the logo. Then add “30 Years of Service” in 2 lines on the back. Please use the Georgia Font) It is VERY IMPORTANT to Email a copy of the logos, to jandbshaffer [!at] metrocast.net, or start an ETSY conversation and send a jpeg form of the logo to me. Also MAKE SURE that the logo isn't copyright protected. If it is, I will not be able to download it and engrave it. Also choose the proper font you want to use and write it in your narrative. If you want to use a font that is not listed, please write down the name of the font that you want to use. 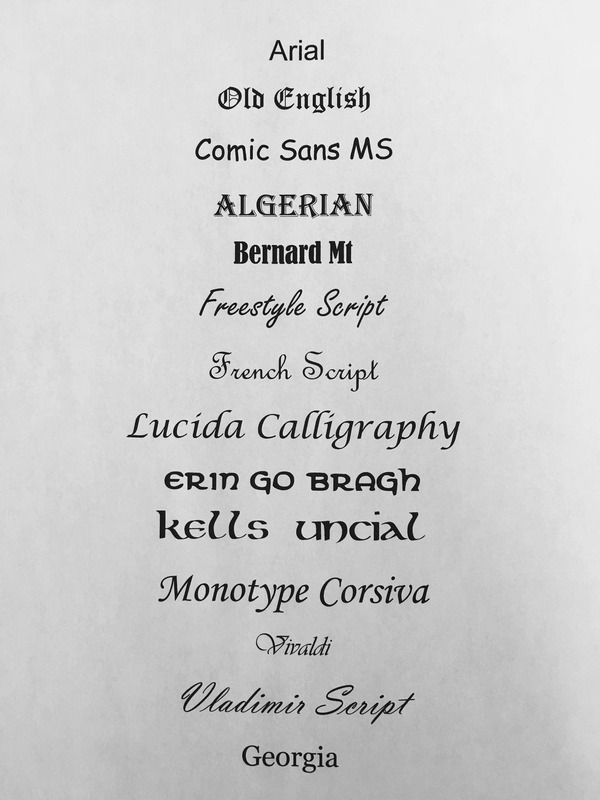 As long as I can get it, there will be no charge for choosing your own “unlisted” font. If you leave me a phone number for a text, or a valid Email address, I will email you a photo of the finished product before I ship it (Personalized Products Only). That will give you the opportunity to approve the product before it ships.